Champ or coach? What should local athletes call Brent Henschel? For two of West Bend East High School’s strongest wrestlers, it’s just easier to call him Dad. Brothers Bryce and Cayden Henschel have been wrestling for eight years. Bryce is a junior and Cayden is a ninth grader. This year they wrestled together for the first time in three years on the varsity wrestling team. Their father, an East graduate, has been the head coach for two years and was also the 1993 state wrestling champion. 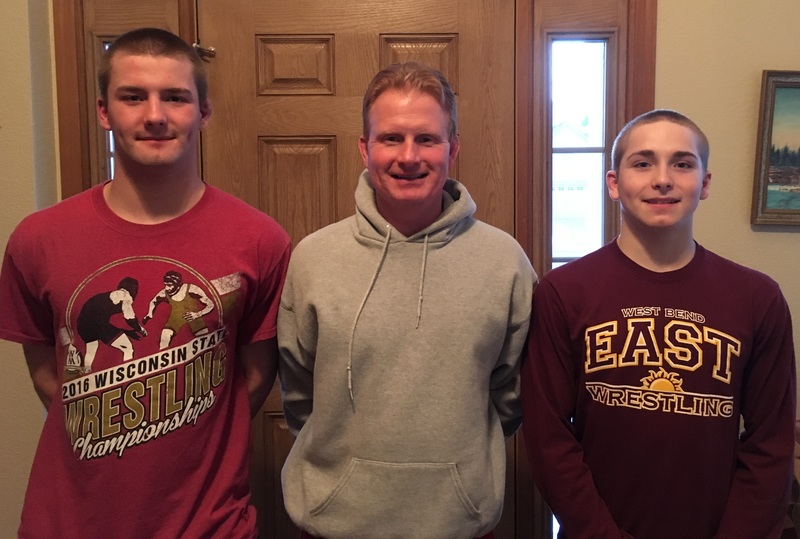 Even though their dad has only been coach for two years, the brothers were accustomed to his coaching style since their years spent youth wrestling with the West Bend Wildcats. Brent coached there for nine years. When asked about how they felt when their father became coach at East High, the brothers had mixed feelings. Being younger, Cayden’s transition into high school may have been made easier by having his dad as the coach. “He’s coached me since I was really little so now we just get to keep that going,” Cayden said. Bryce also plays for the East varsity football team. That multi-sport athleticism runs in the family. Besides wrestling, Coach Henschel also played baseball and soccer for East. Cayden, though, prefers to focus solely on wrestling. Since the family is so invested in the sport it has become a constant topic at home as well. As frustrating as the frequent thought of wrestling can be, the Henschel brothers have dedicated themselves to improving and have set huge goals for themselves. At the beginning of his high school career Bryce decided that he wanted to break the school single-season takedown record set by Jordan Gundrum in 2015. By the end of his junior season, Bryce had recorded 195 takedowns, surpassing Gundrum’s previous record of 173. Even though Cayden is only a ninth grader, he has set immense goals for himself as well. Coming into high school, he decided that he wanted to follow in his father’s footsteps and win a state championship. 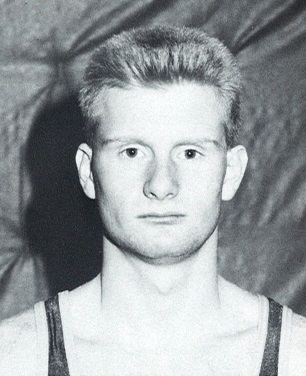 Coach Henschel wrestled Division II at UW-Parkside, but after two years he transferred to UW-LaCrosse to wrestle until he graduated. Both boys said that they do not have aspirations to wrestle after high school. Despite not wanting to wrestle after high school, the Henschels still push themselves to be the best. 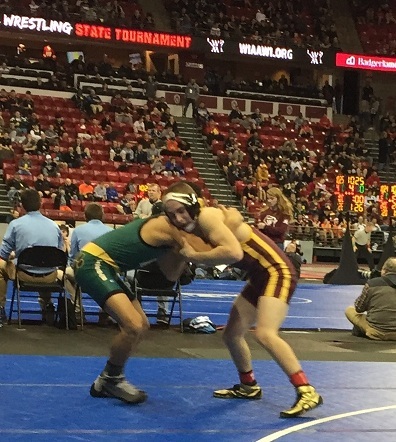 Cayden Henschel wrestling at the state tournament in Madison on Feb. 23. Photograph courtesy of Bryce Henschel. Coach Henschel says that having his kids on the team is great but he does not treat them differently than any other wrestler. He feels that he has to approach each wrestler in a unique way because everyone has different responses to certain situations. Bryce and Cayden have been extremely successful their first season wrestling together. Bryce took second in conference, second at regionals and third at sectionals. Cayden received second in conference, first at regionals, and first at sectionals, but did not place at state. With one season left together, the Henschel family is ready to accomplish great things for West Bend East wrestling.